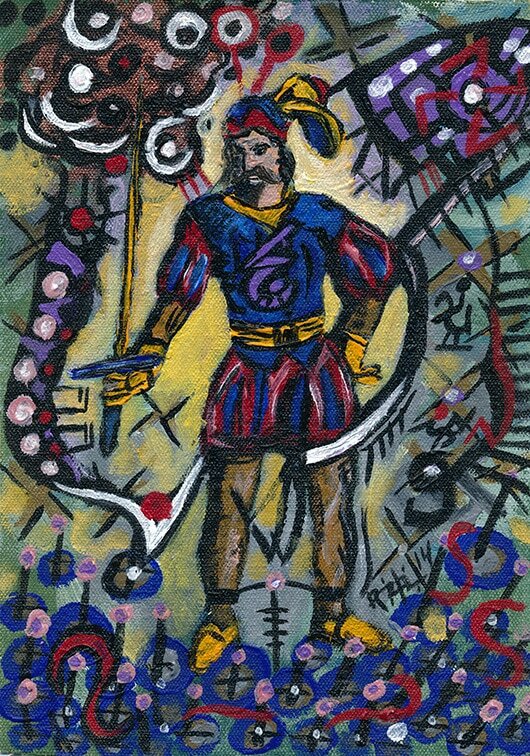 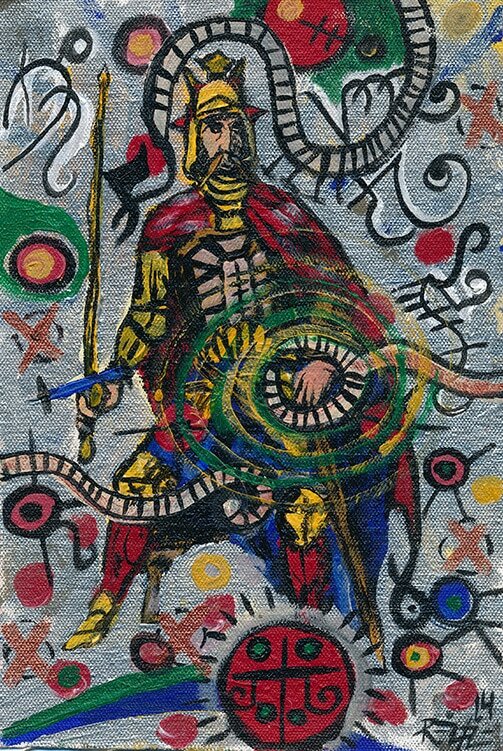 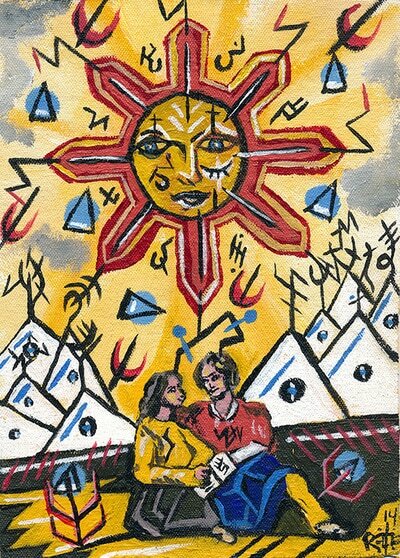 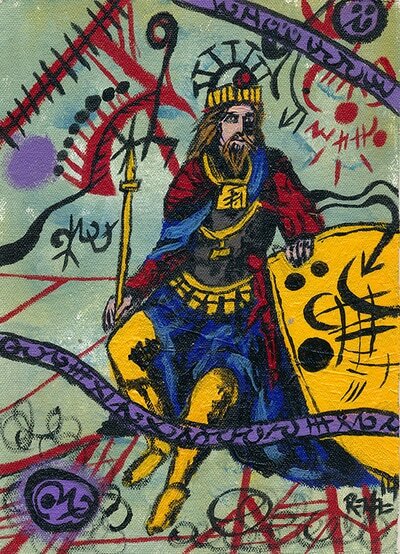 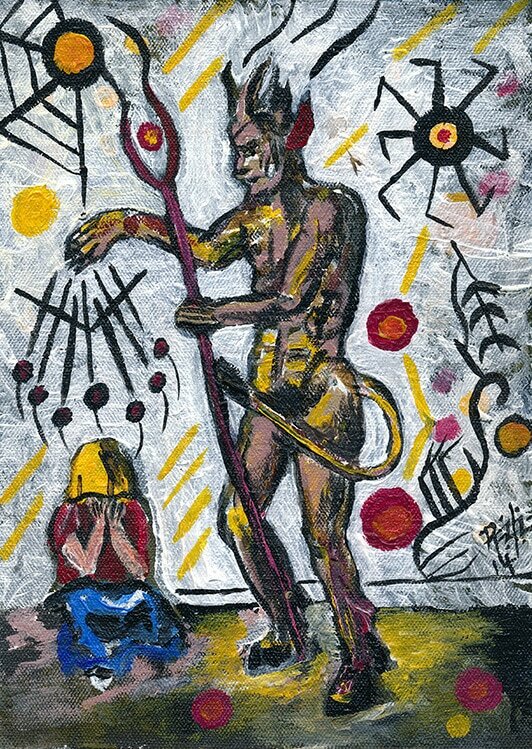 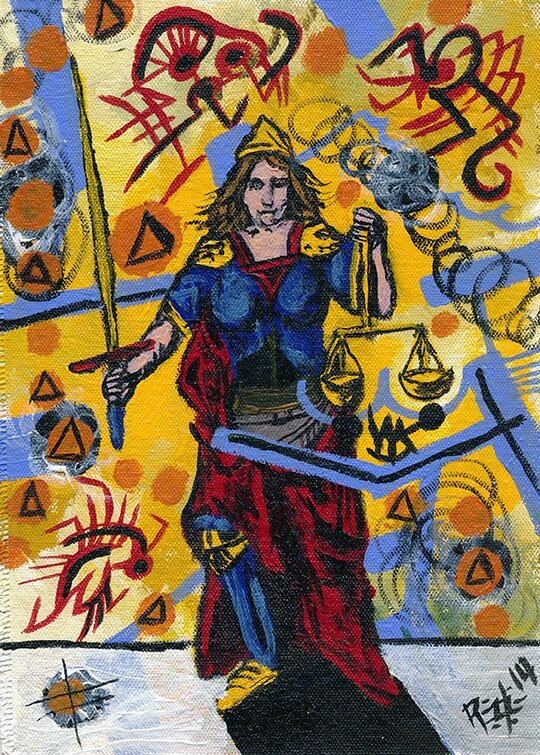 The Naga Tarot deck was influenced by Robert's mother Patricia's 1JJ Swiss tarot deck originally made in 1970. 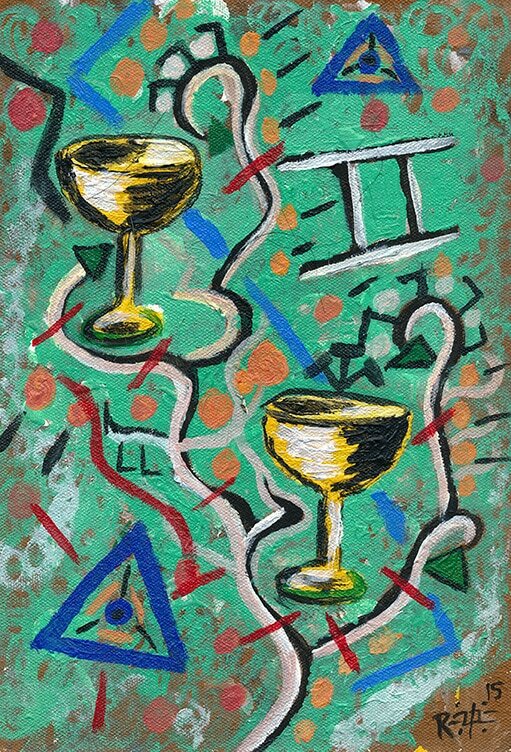 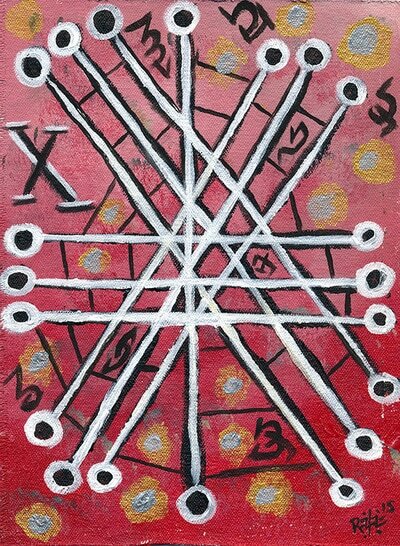 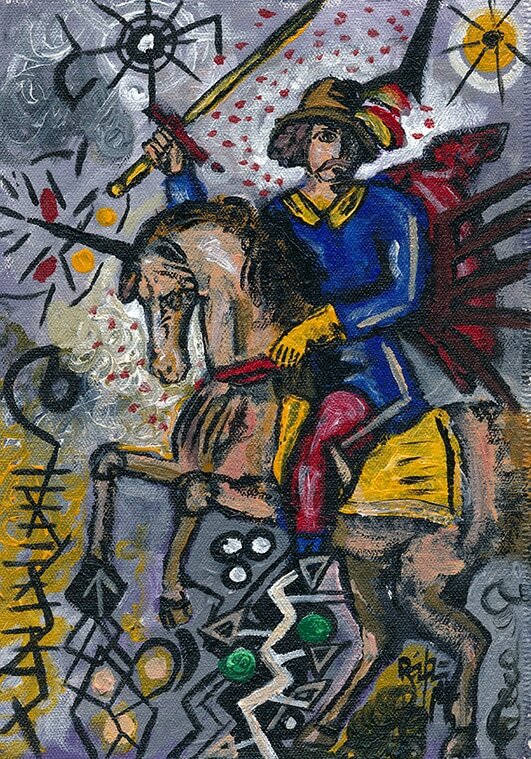 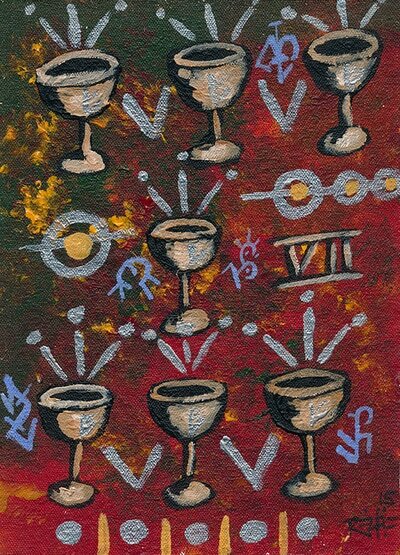 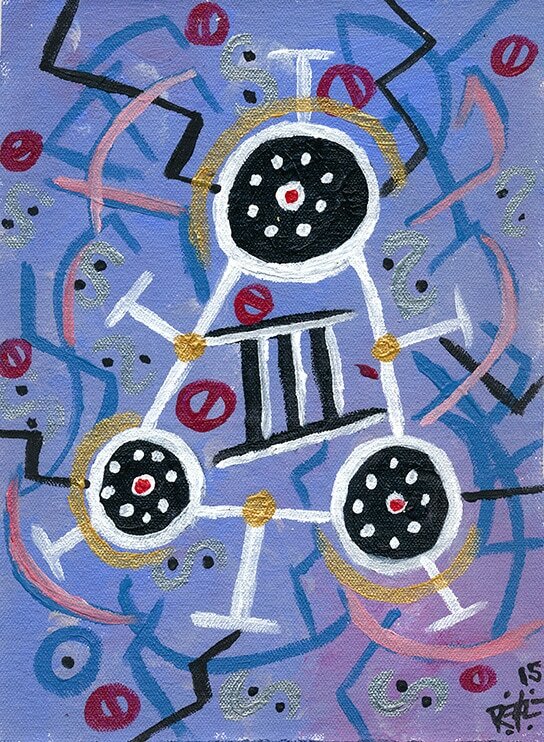 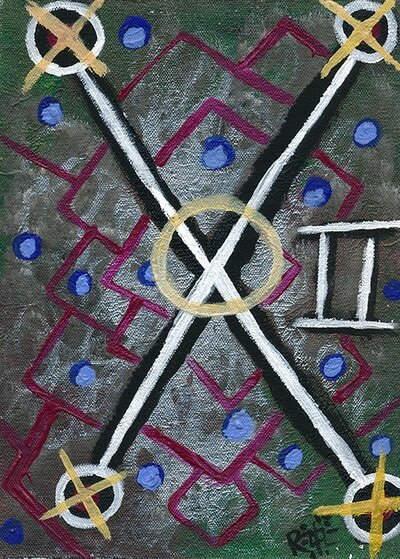 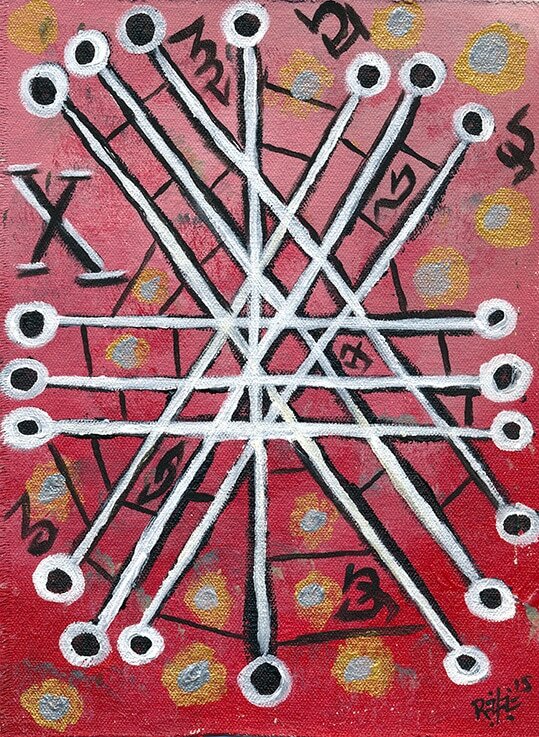 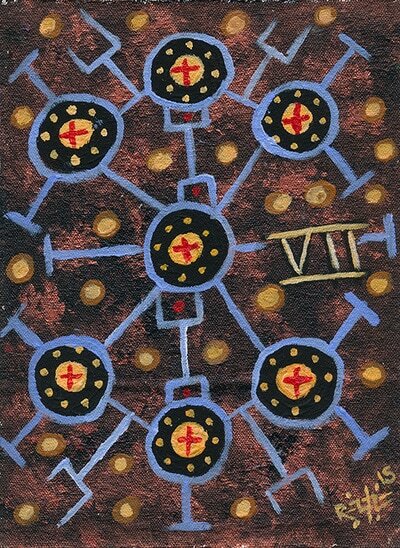 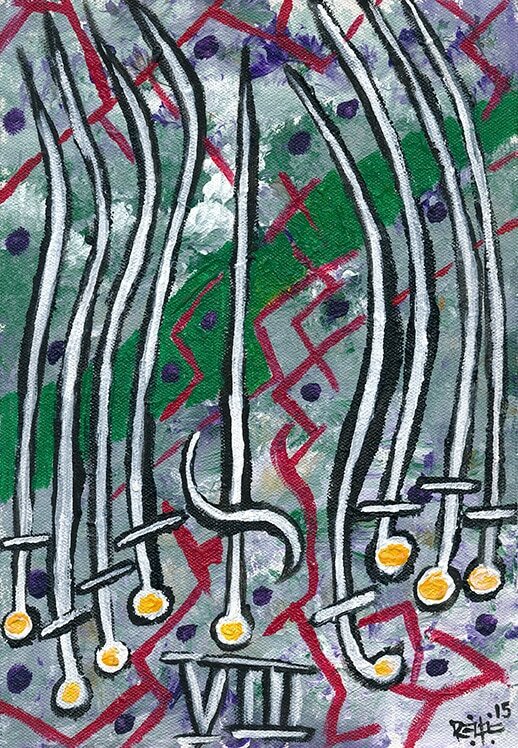 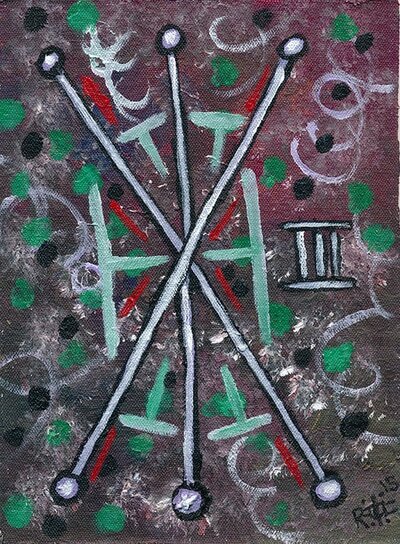 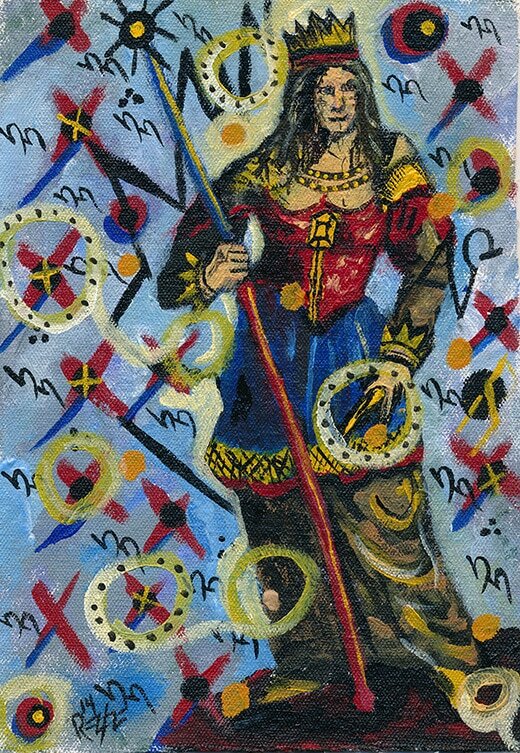 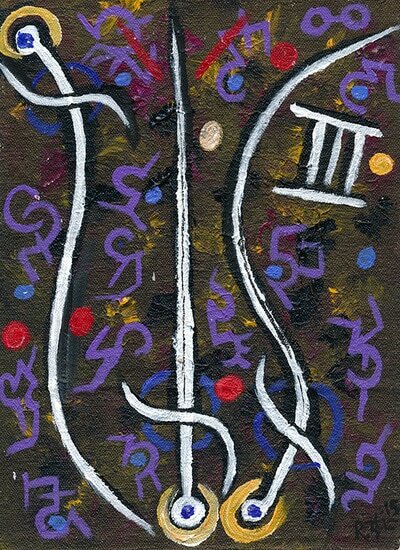 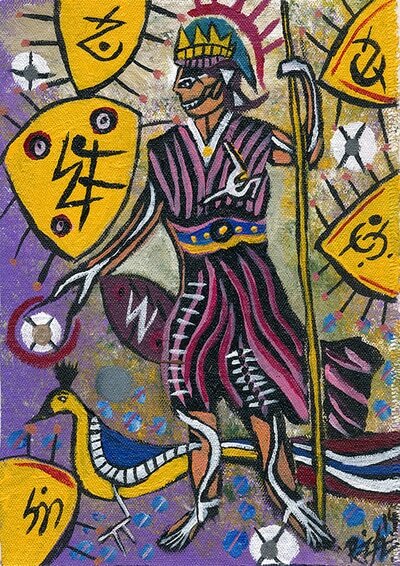 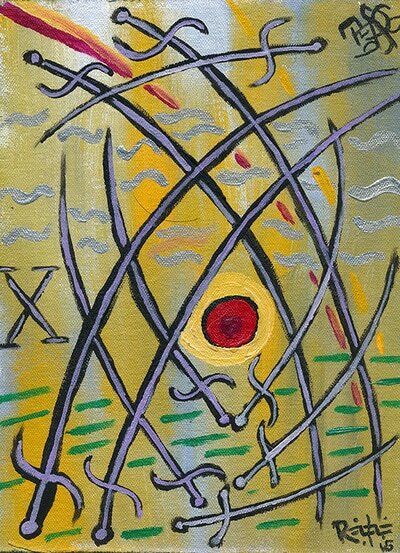 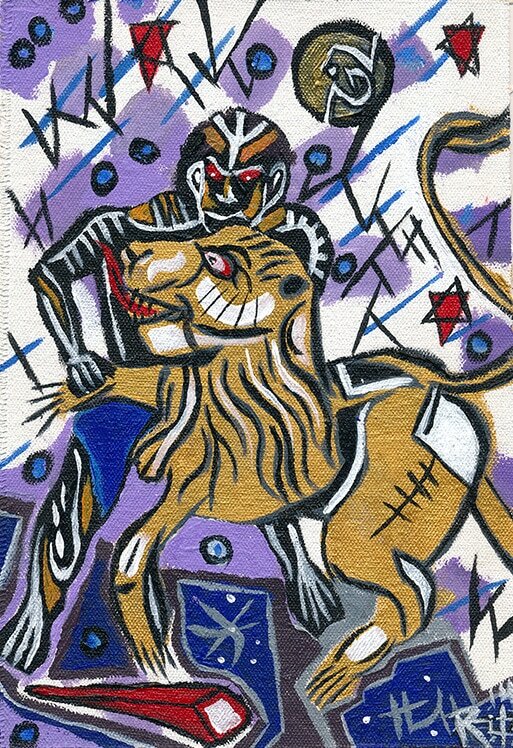 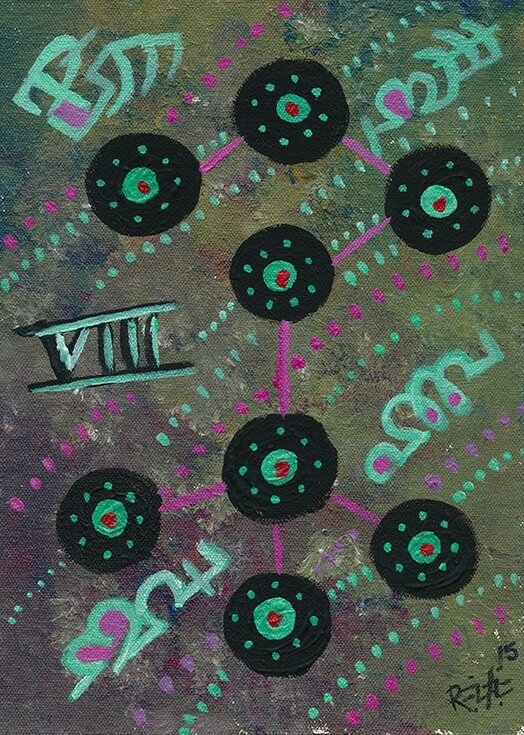 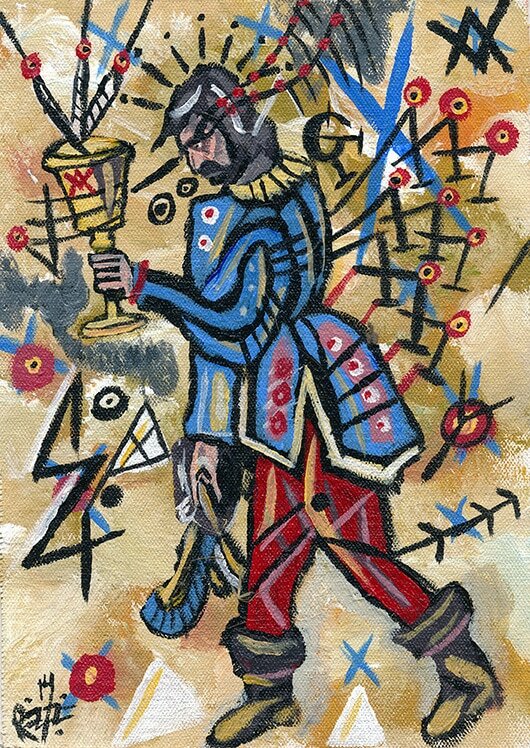 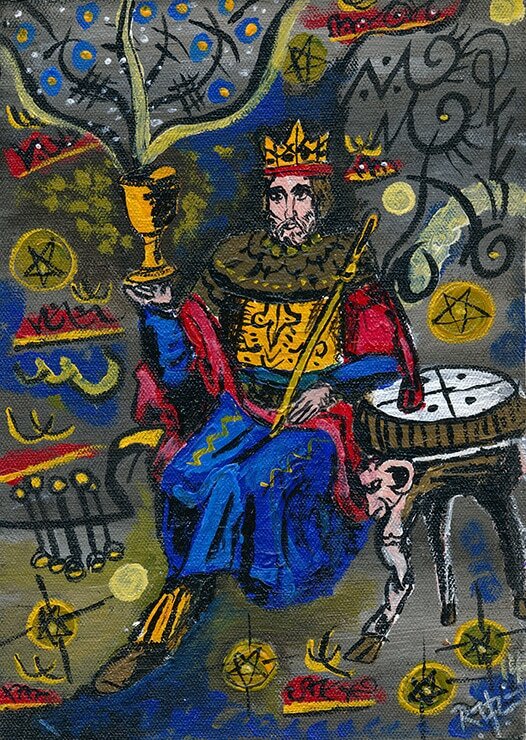 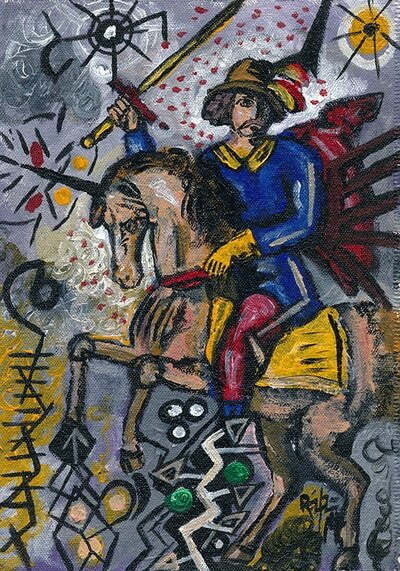 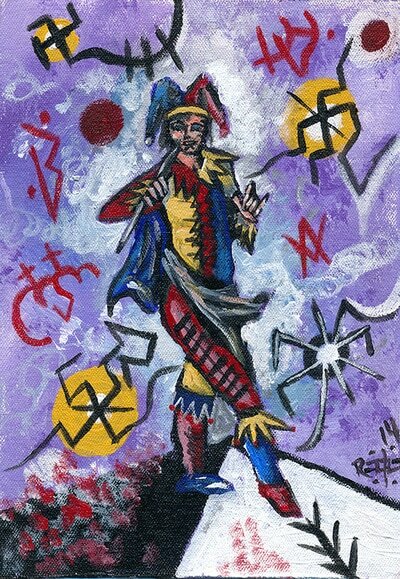 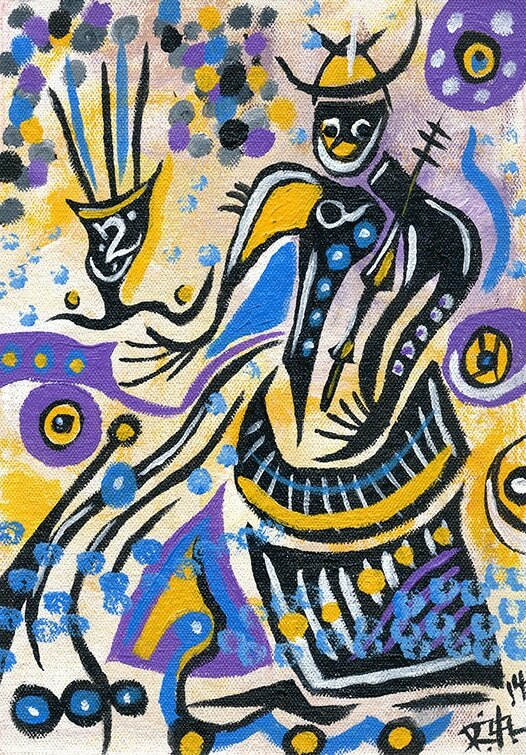 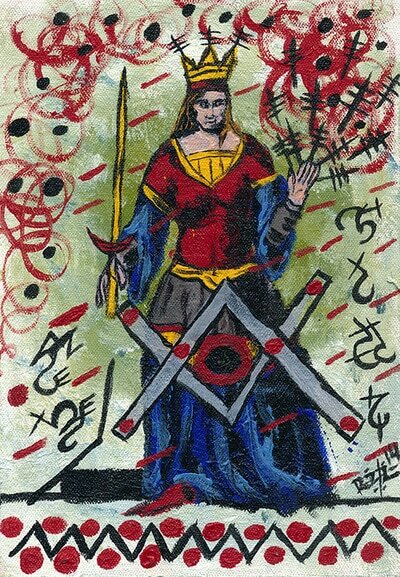 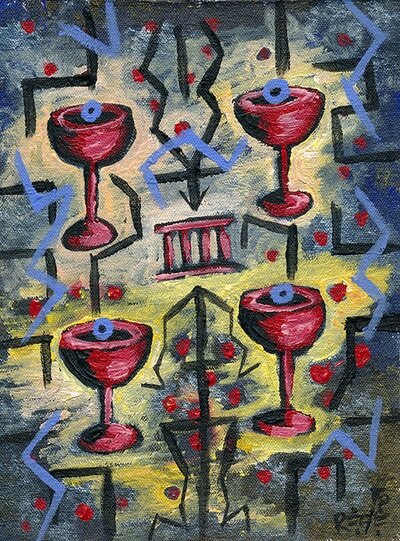 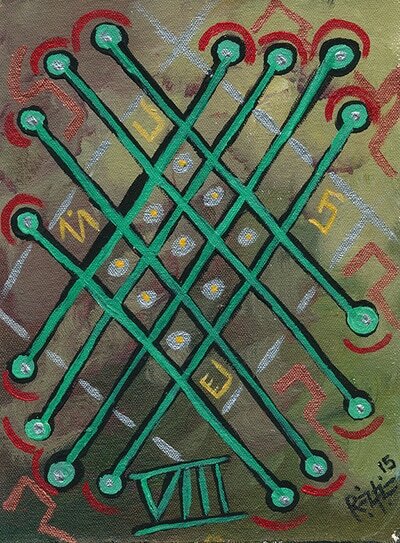 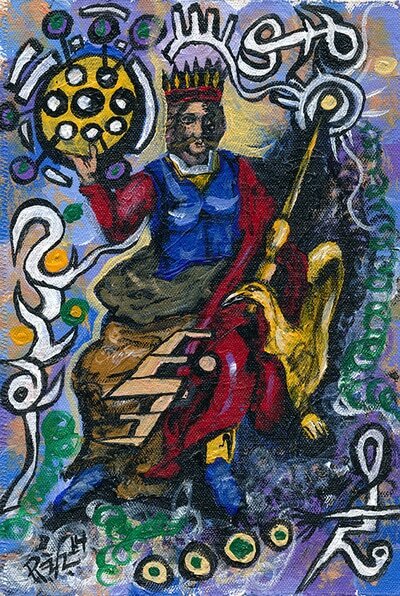 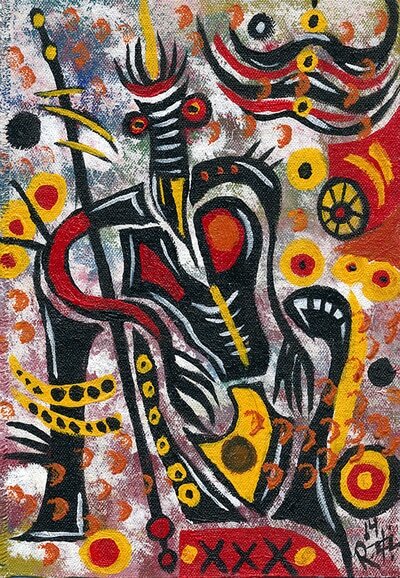 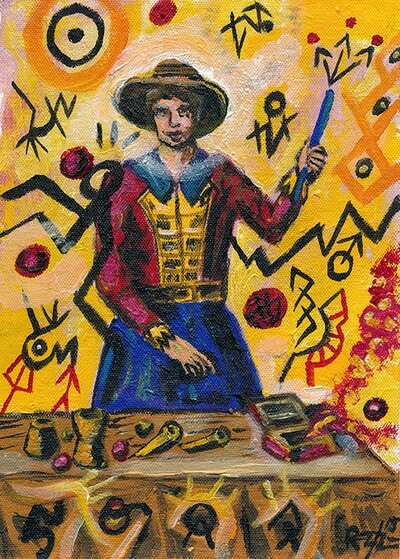 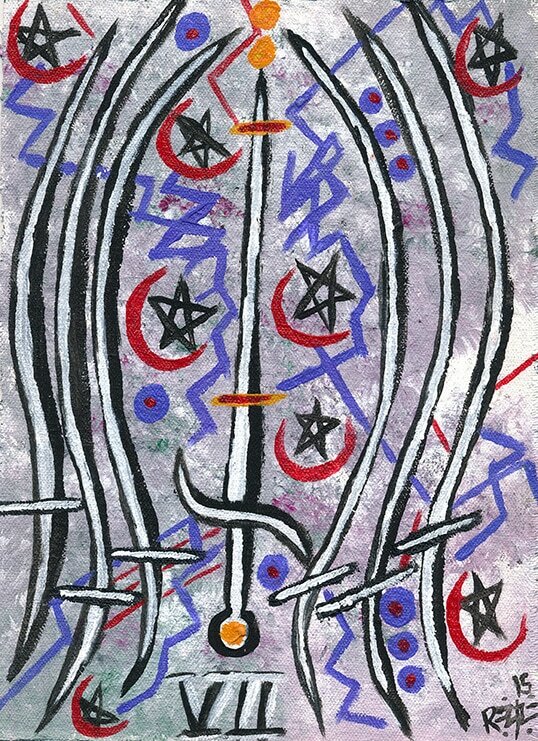 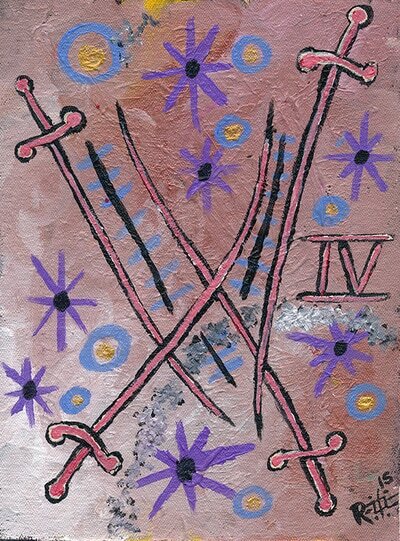 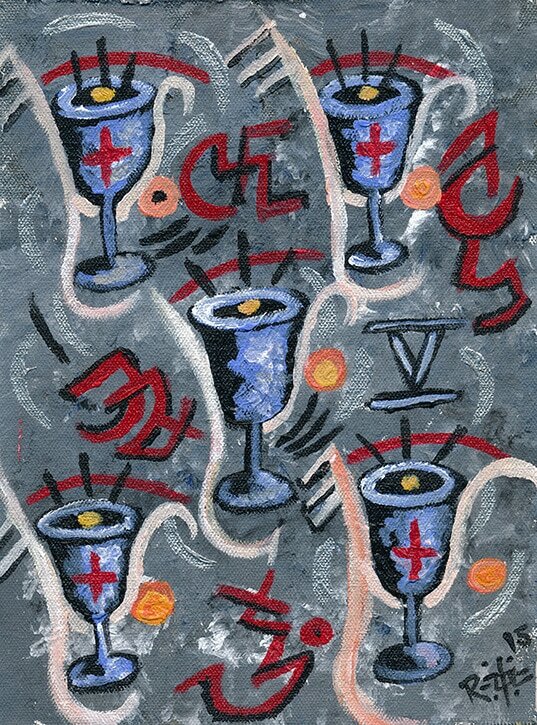 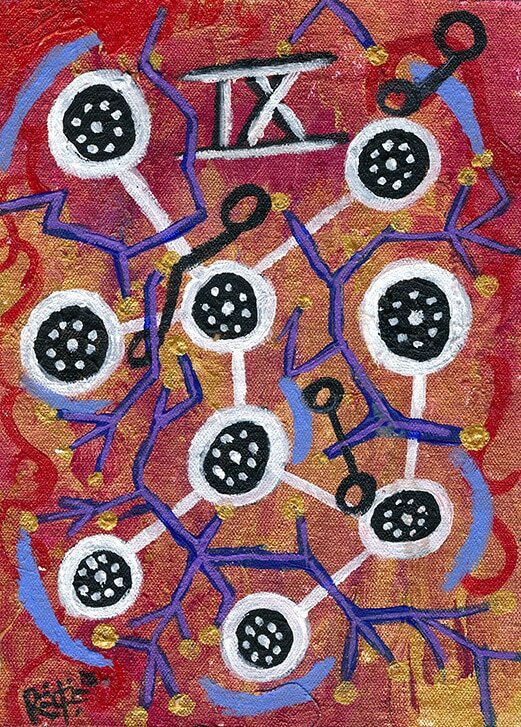 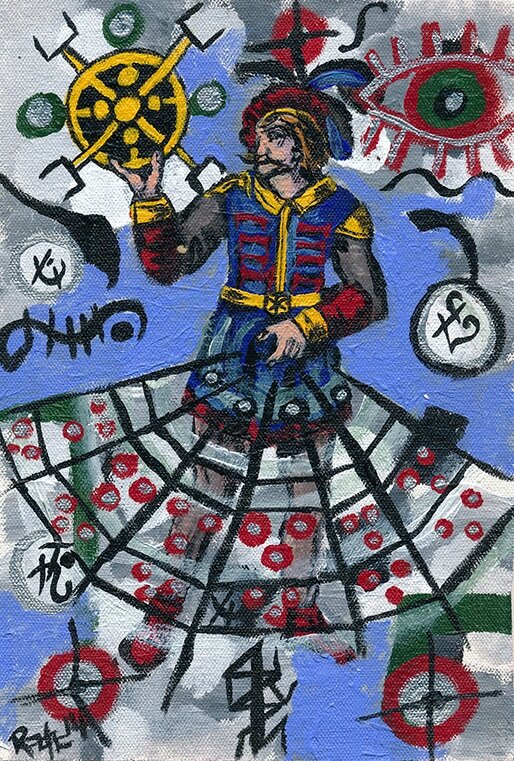 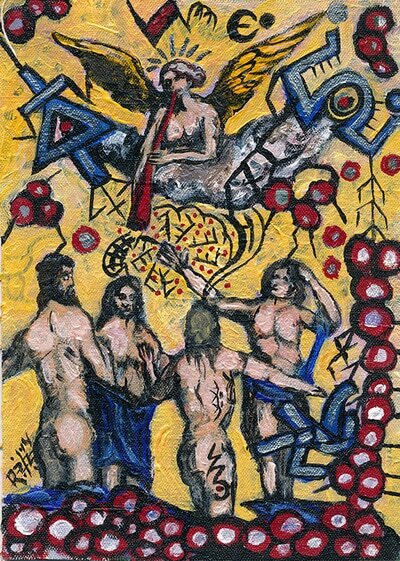 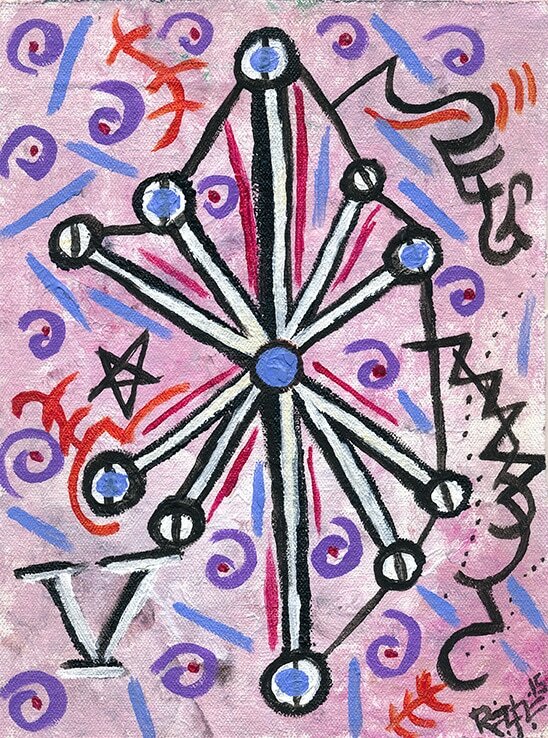 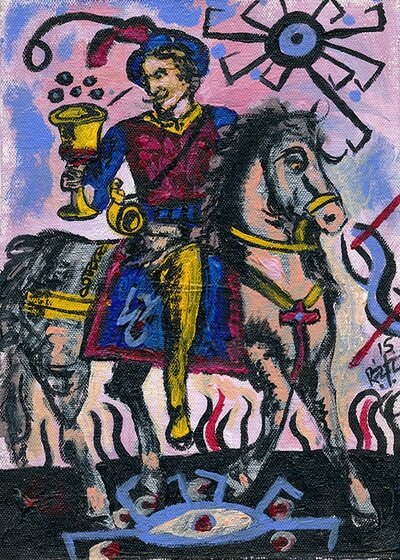 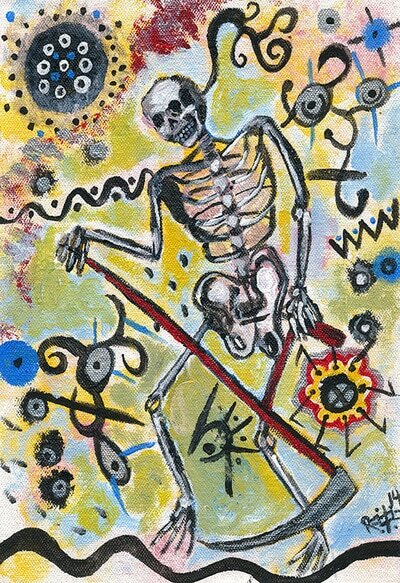 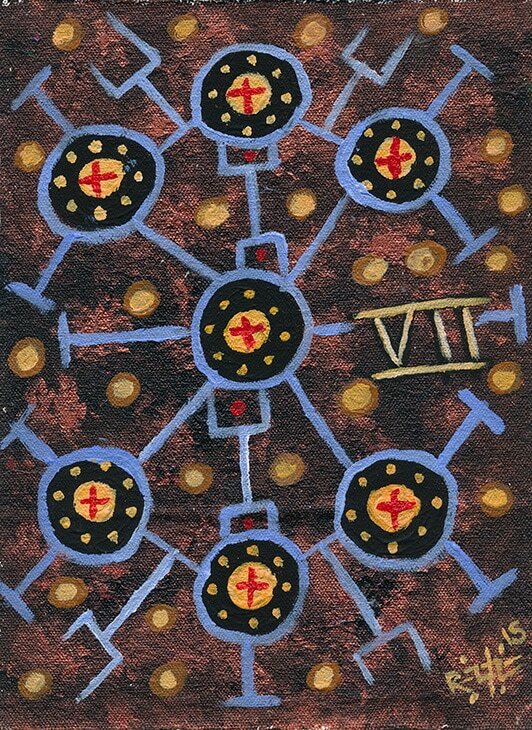 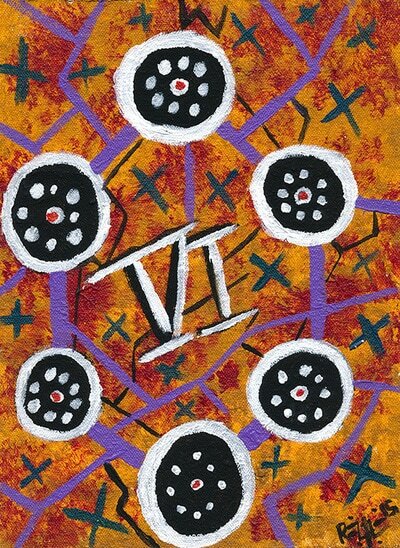 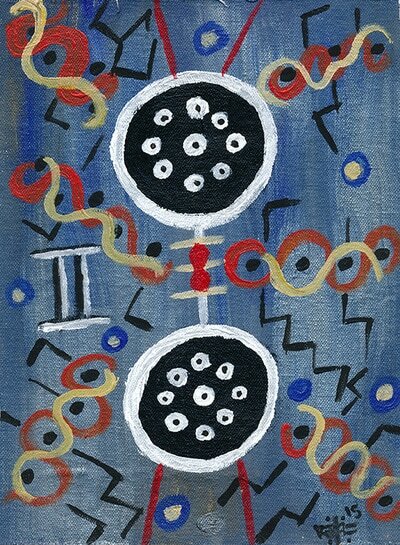 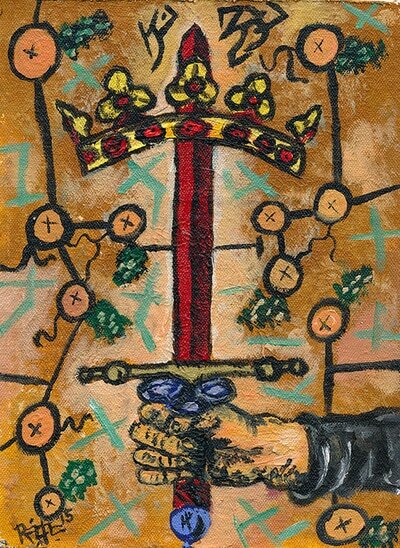 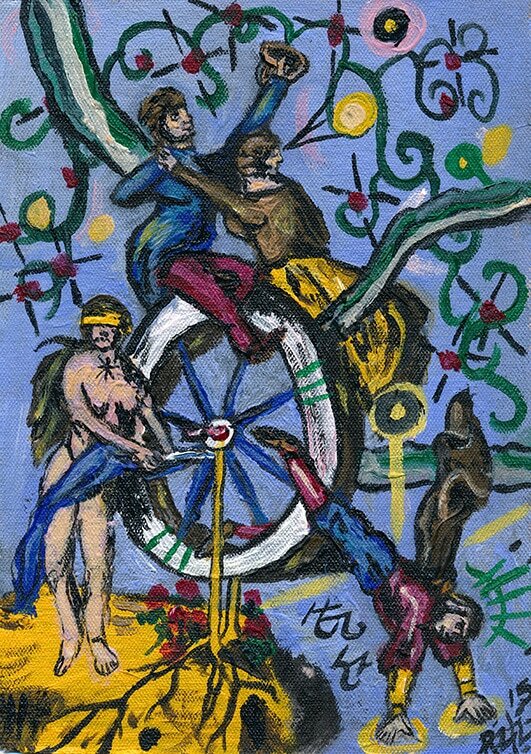 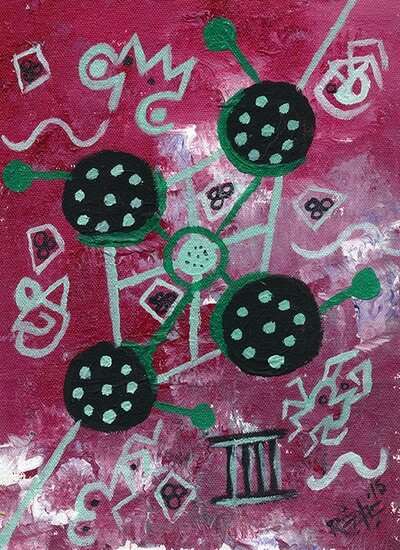 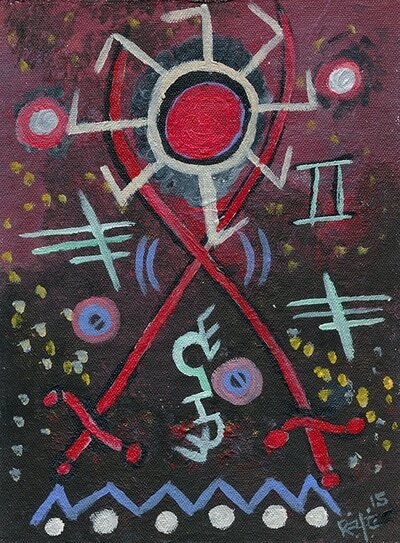 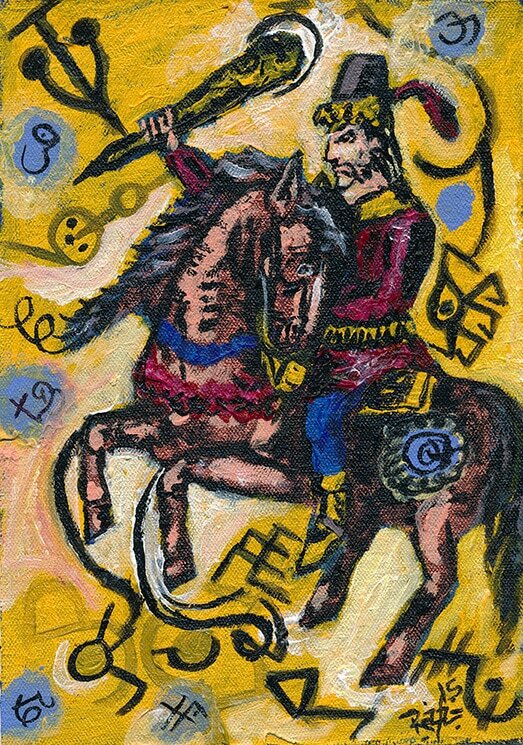 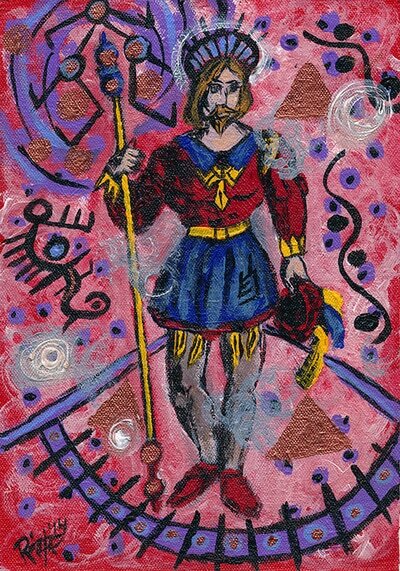 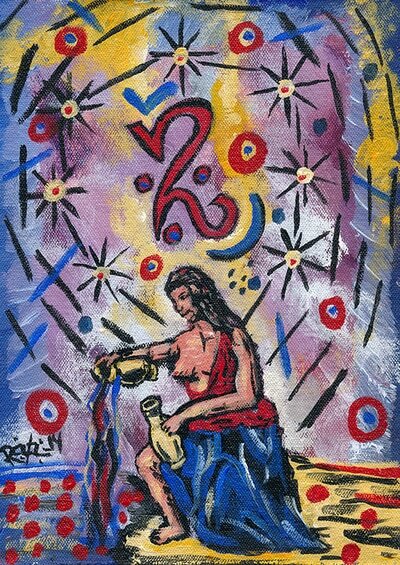 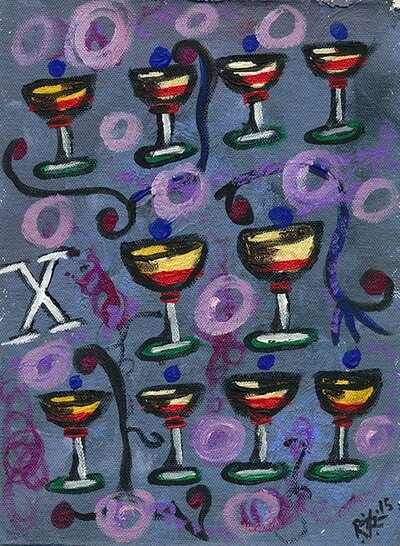 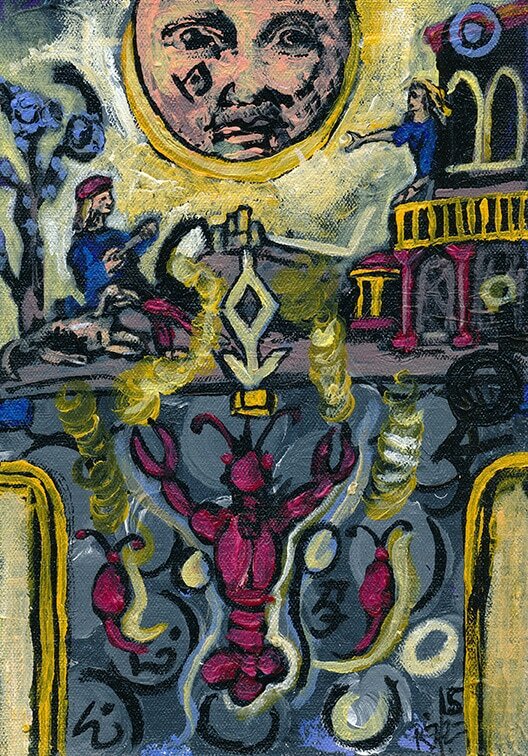 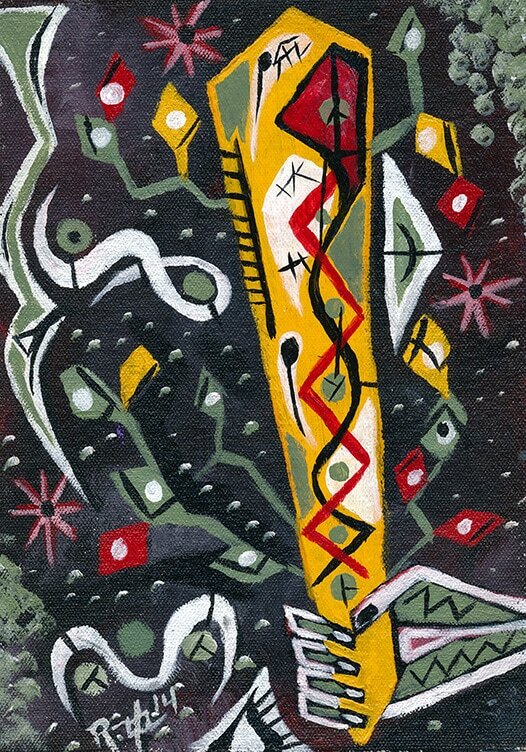 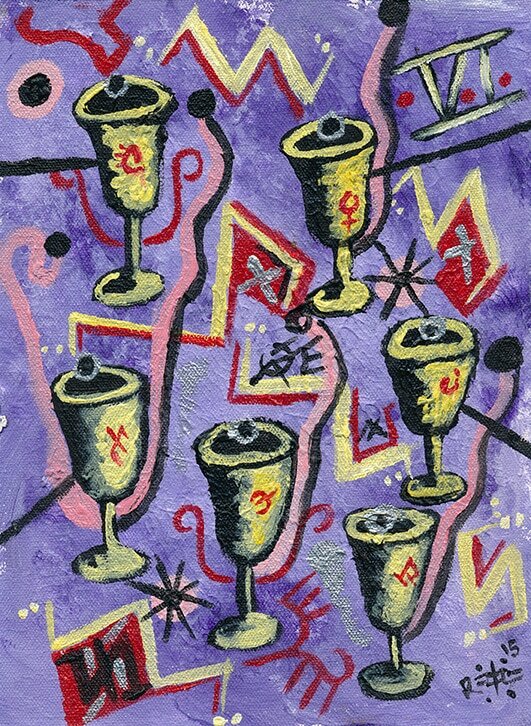 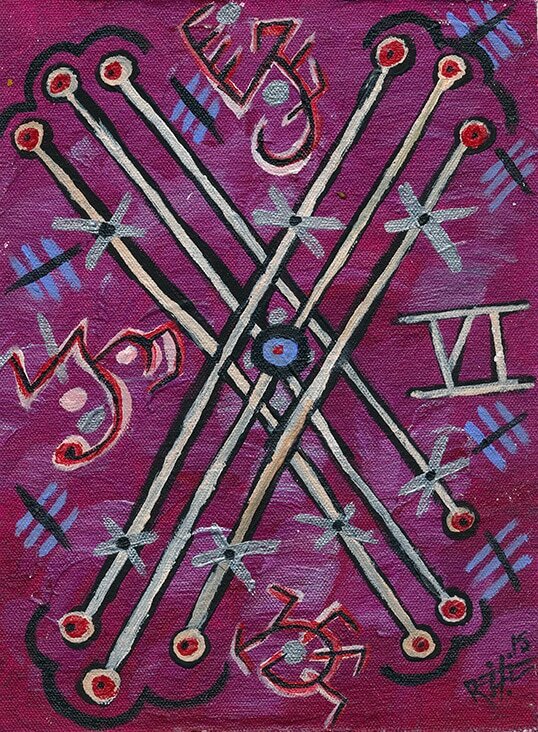 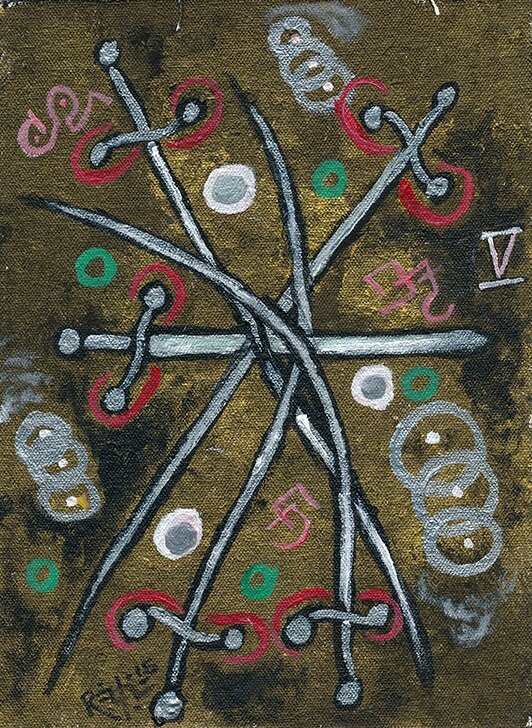 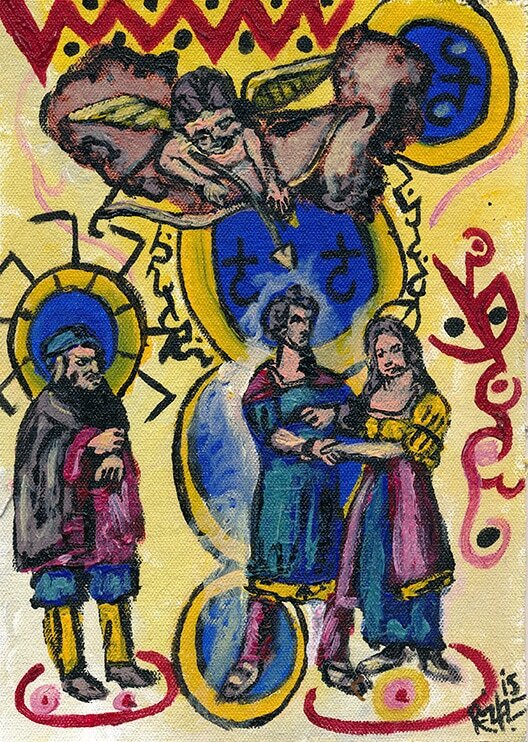 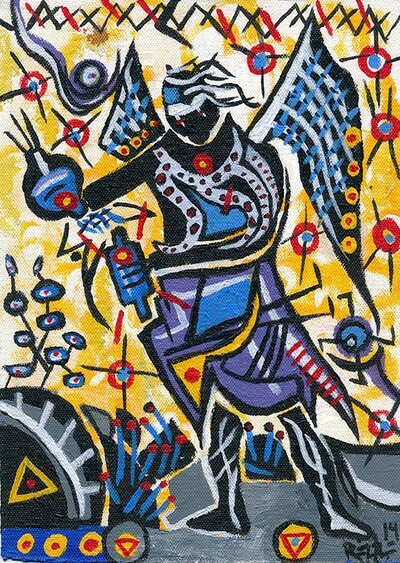 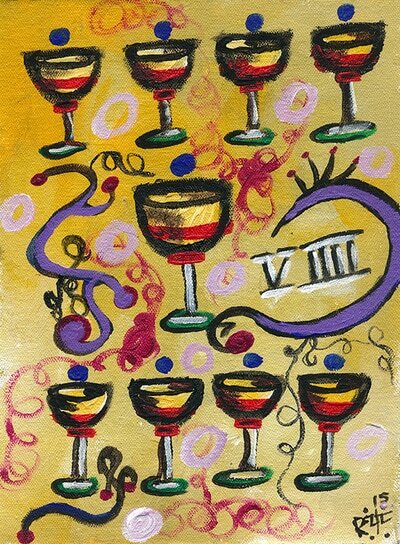 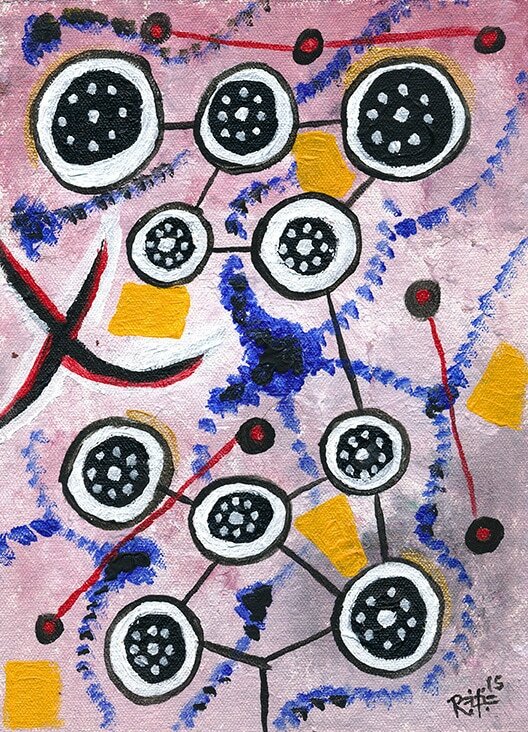 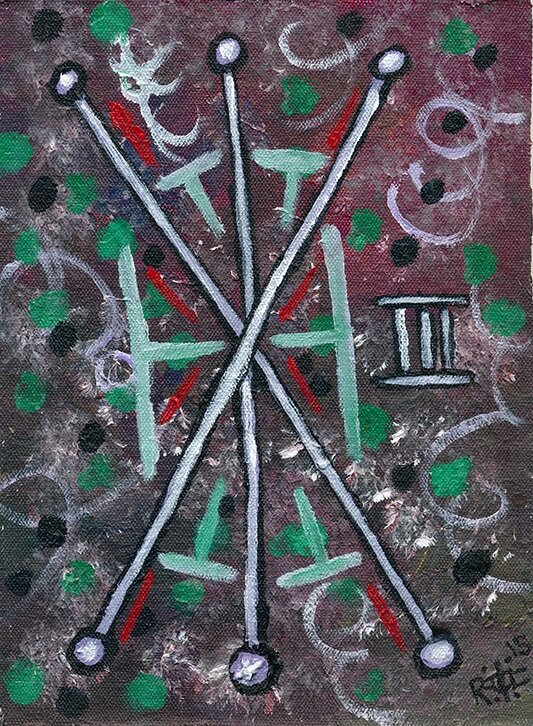 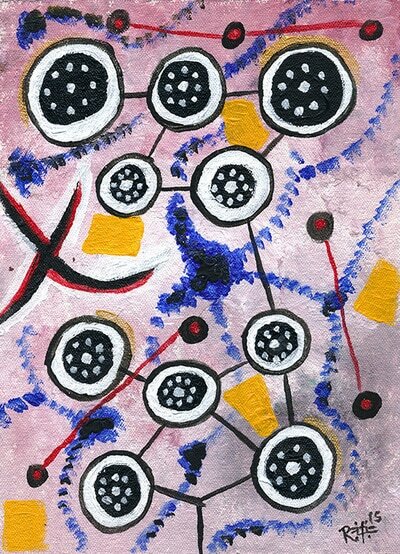 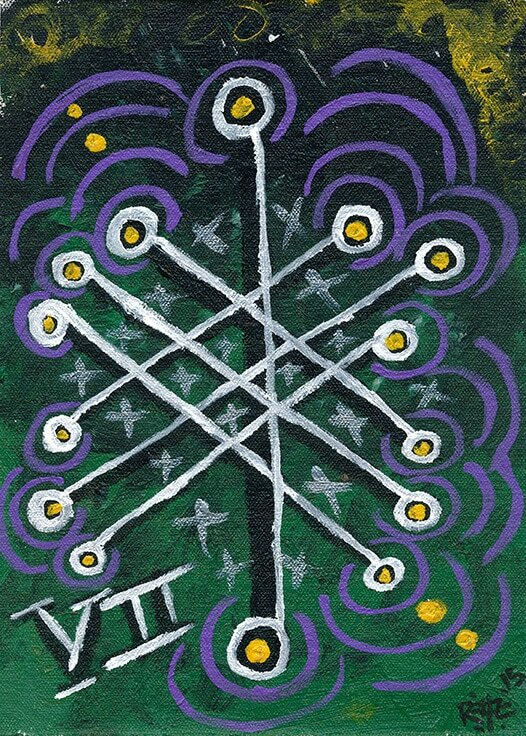 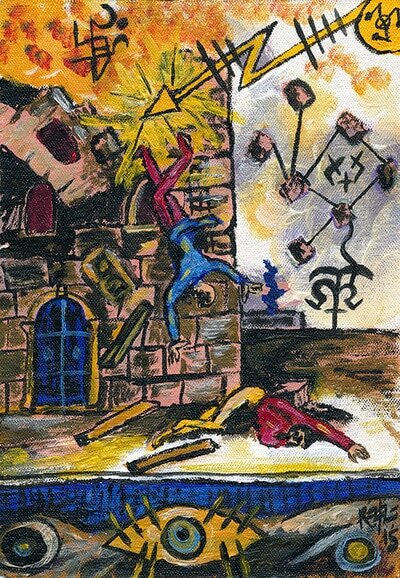 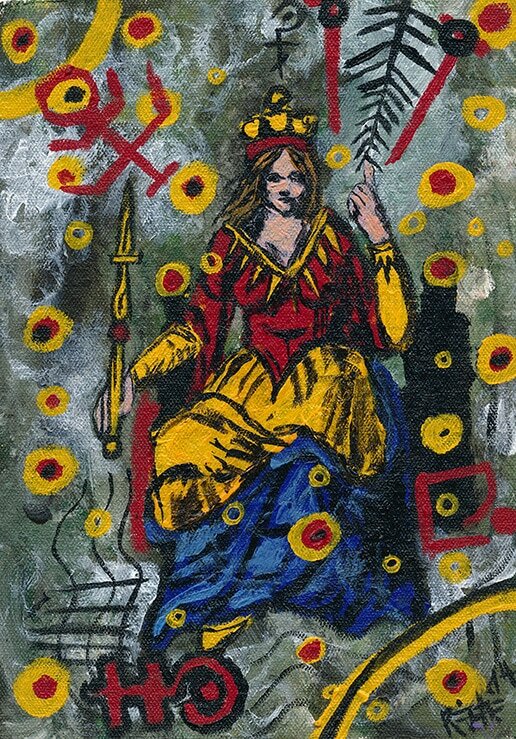 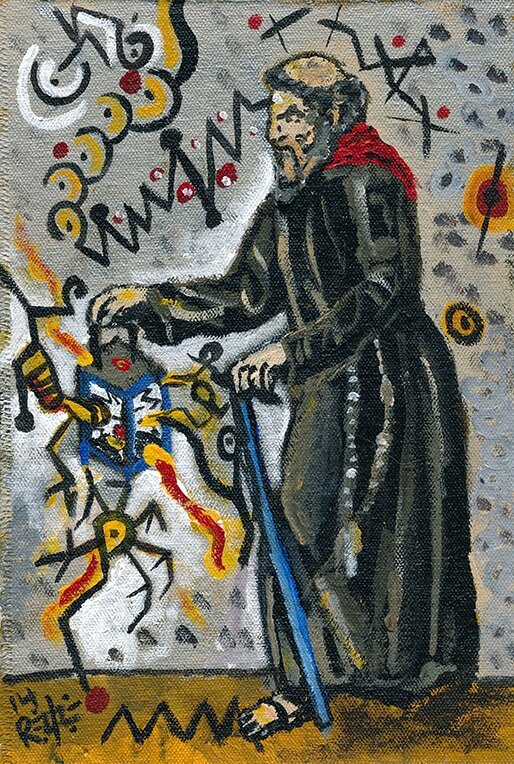 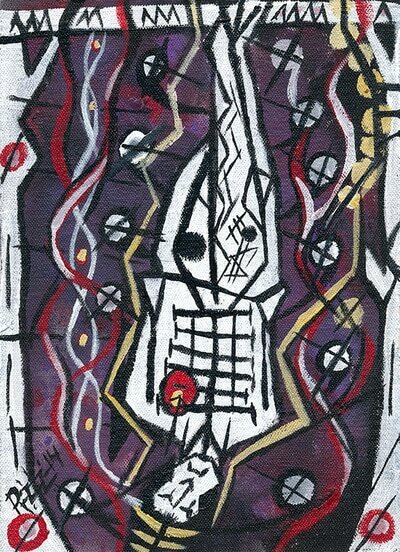 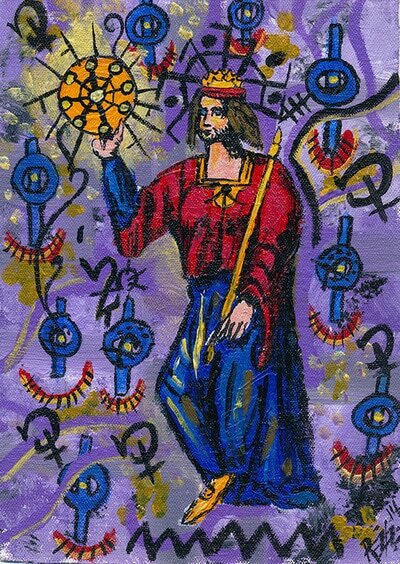 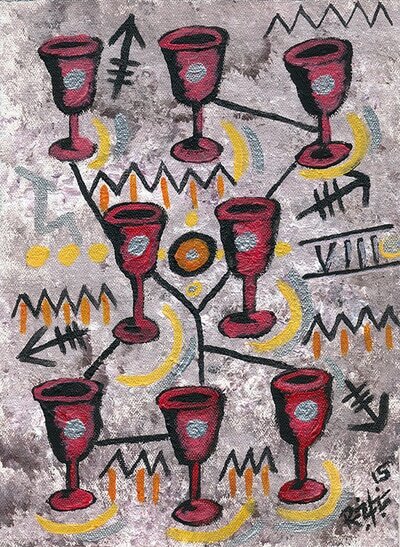 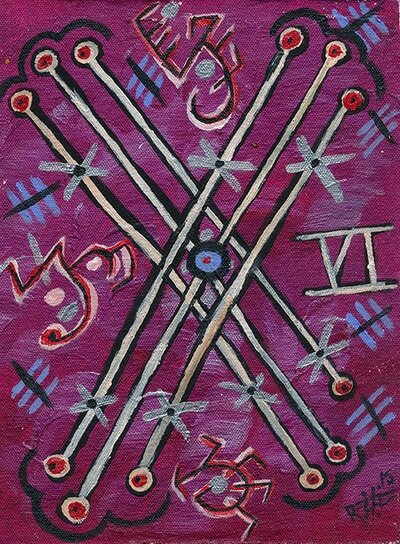 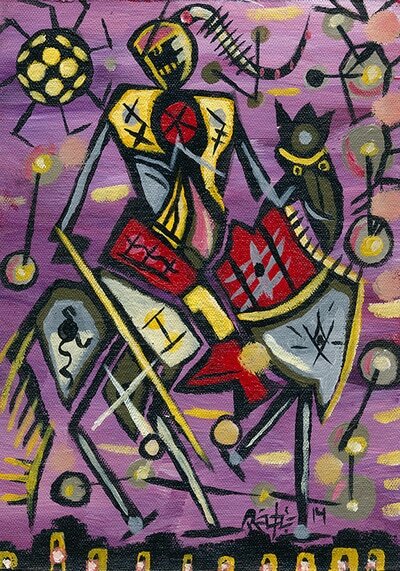 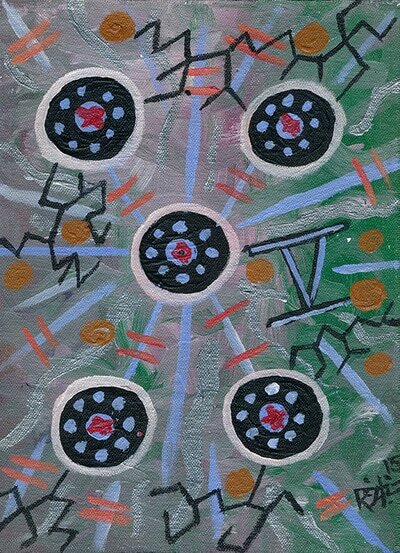 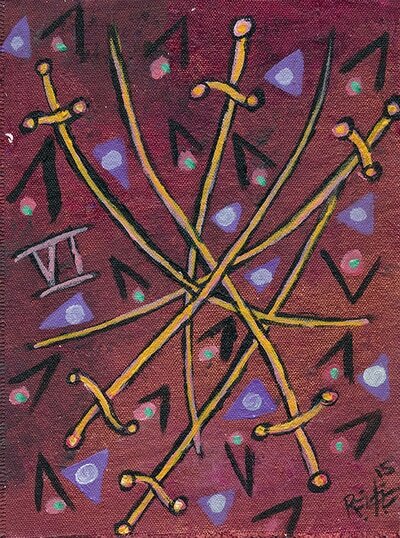 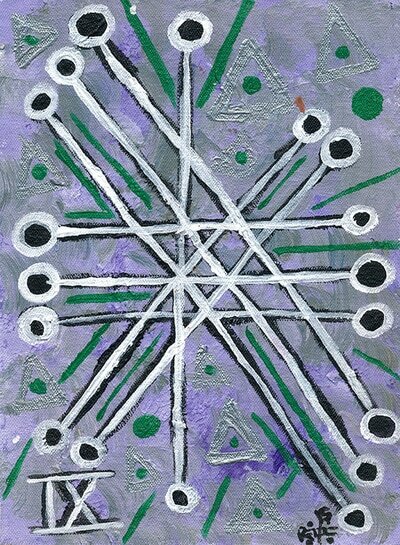 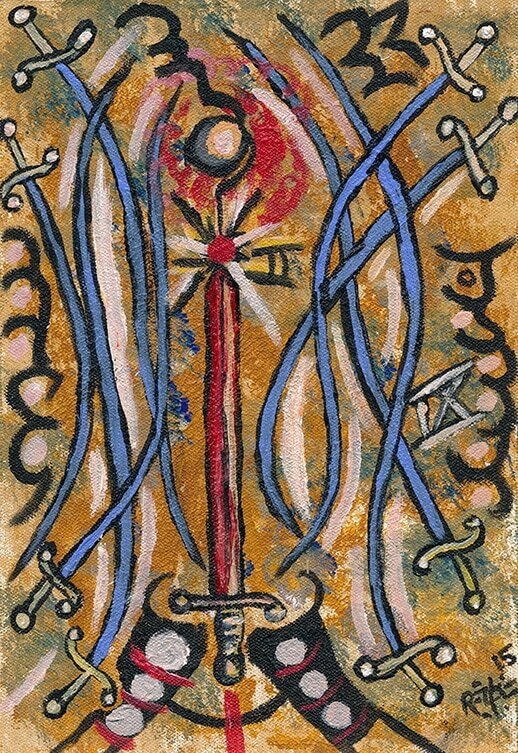 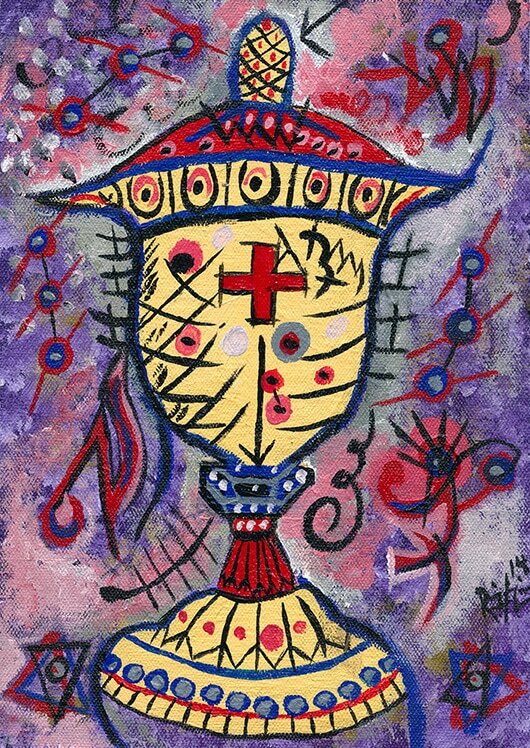 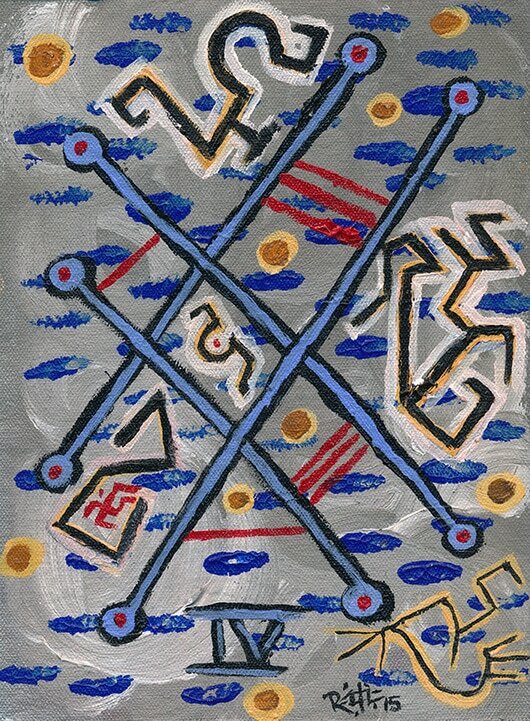 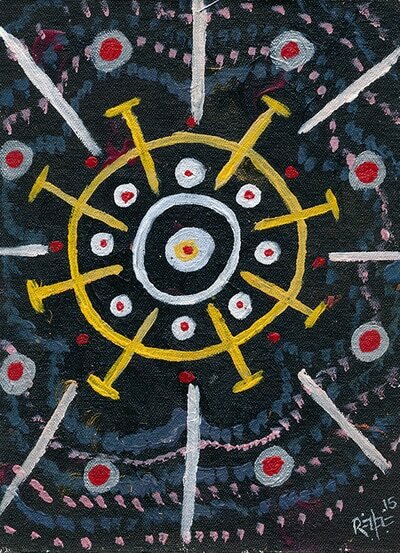 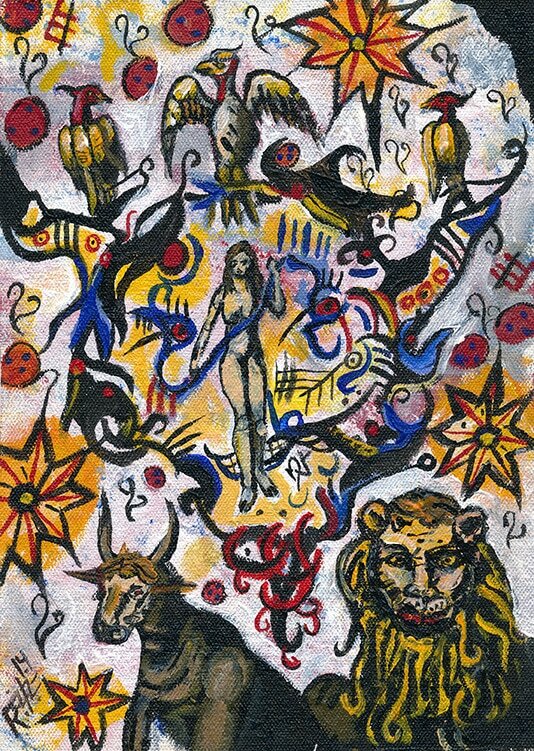 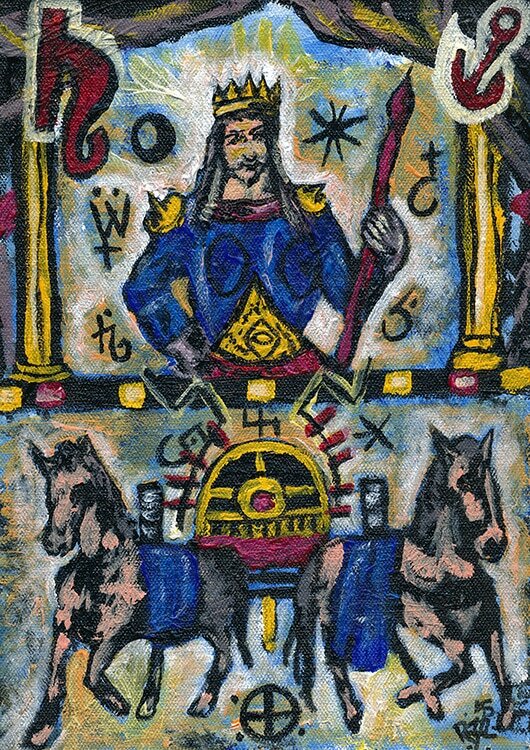 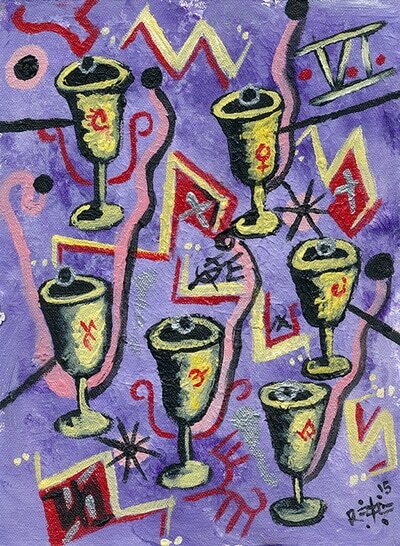 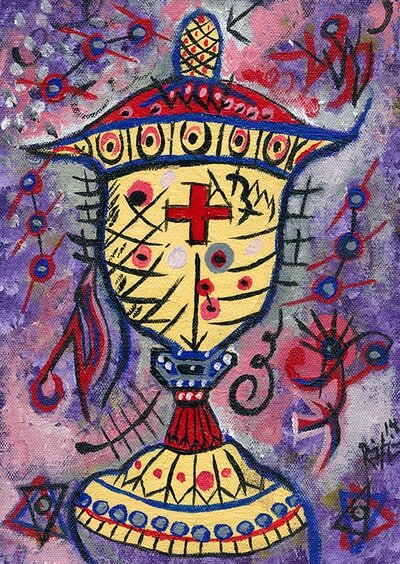 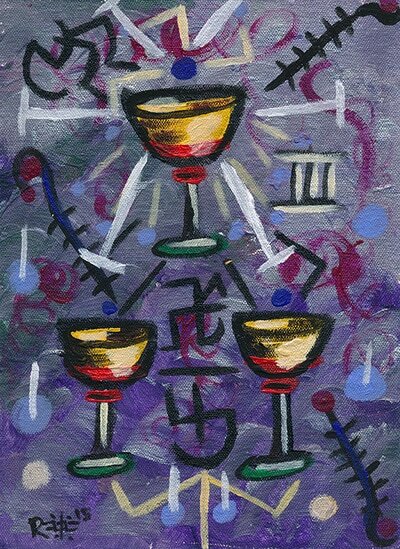 In returning to painting Robert wanted to make a homage to his mother and he loved the tarot imagery. 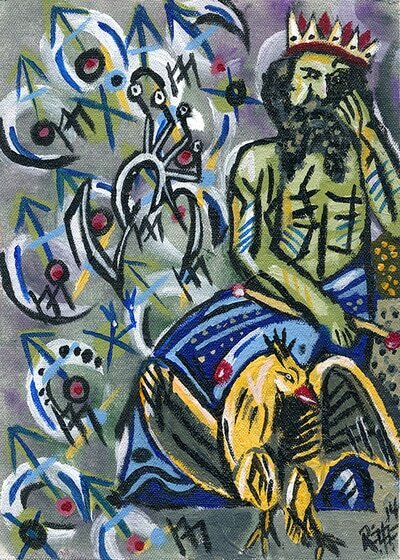 The Naga Tarot takes its name from his late pug dog Naga who passed away in July 2015. Purchase a deck by clicking the link below. $35 dollars per deck/with $7 flat shipping in the US.